Featured inside this sleek metallic looking bottle are capsules meant to reduce weight without added stimulants. They claim an excess of 22 pounds can be lost in just 30 days. Though their product is said to be manufactured in the US, most of the information provided by the manufacturers is in spanish. The formula is all natural and void of any stimulants though they do mention only those in good health should supplement. So what can it do for you? Let’s uncover the details. Xtreme Colombia is based out of Colombia with weight loss products being offered on third party sites. Currently all their products websites including their companies has been left stranded. They do still have social media accounts such as YouTube and Facebook however, activity is dated back a few years. The FDA left a public notice that Zero Xtreme contained undeclared amounts of the controlled substances sibutramine and desmethyl sibutramine. Sibutramine has been linked to heart complications such as stroke and heart failure. Due to these concerns the FDA has not allowed supplement companies to include these ingredients. The company declares in their video and third parties mention that this works without diet and exercise. They also declare it works by reducing appetite and that it helps burn fat. Nowhere is there information as to how exactly this is achieved in the body if it’s thru fiber or thermogenic ingredients. Without proper knowledge and no trials or customer opinions there isn’t much to go on. Due to the limiting amount of information it is unknown if the amounts and ingredients are properly stated by third party sellers. Only once source lists ingredients while none of the retailers offer a list. 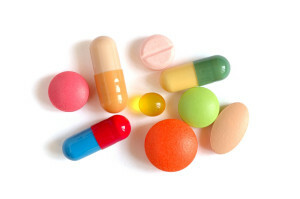 To find products with clear labels and safe ingredients you do have access to all natural supplements. Bitter Citrus Extract: Taken from citrus rind, it has Synephrine which is a stimulant that increases heart and blood pressure and is intended to increase metabolism. Mulberry Leaf: Used to treat blood sugar rise and prevent cholesterol build up. Cassia Extract: A varietal of cinnamon found in Asia. Used to treat stress and inflammation. Medical Amylum: This starch is a complex carbohydrate intended to increase satiety and prevent fat storage. Coix Lacryma-Jobi Tropical plant used in Chinese medicine as a diuretic. Potential Side Effects: Dehydration, frequent bathroom trips, upset stomach, cramps, diarrhea, bloating, gas, fatigue, headache, increase in heart rate and reduced vitamin and mineral intake. Shipping available in the US. Due to the lack of support from the makers and the abandonment of a company front it’s hard to see any real benefit in this product. The only available sellers do not offer a nutrition fact or ingredient list at all. They make claims of how this product works yet provide no evidence or explanation. To add to the troubles this products cheapest batch at a months supply goes for $139. This is without a money back guarantee or way to reach the company. 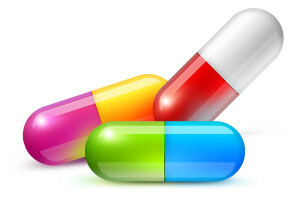 Since the company has included unknown amounts of a harmful controlled drug that the FDA banned in 2019 safety concerns arise. It then makes sense why the company decided to forgo anymore of their websites. They completely left third party retailers the responsibility of marketing and selling their product. Due to the alarm over the addition of Sibutramine the FDA made notice to completely stop using these types of products and to seek help if experiencing side effects. There are brief claims that this product has no side effects and that it has no stimulants. Their addition of bitter orange extract does not fit this description. Synephrine found inside this natural sounding ingredient and it is a known stimulant. Also the ingredients are only mentioned on one website without declaration of the exact amounts. There’s several unresolved issues and no way to try and find solutions. The company has seemingly left this product alone and it does no even have a complete ingredient listing. Also worrisome is the incredibly high price without a money back guarantee and the fear of a added drug that is illegal in over the counter supplements. Also it is unknown why the company has abandoned their websites but the FDA warnings may have been the reason. It’s easy to see that when a company refuses to give any information and leaves others to market and sell their products that something is amiss. Reputable companies selling all natural products without hidden drugs have weight loss formulas. Currently there are suitable options available meant to meet your demands. Completely natural products from legitimate companies now offer opportunities. 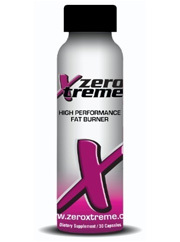 Whats better than Zero Xtreme?